She became interested in journalistic writing after attending the “March for our Lives”, a protest in support of stronger gun regulations last year in downtown Portland. “It was completely new to me, at first I was resistant to just telling a story without inserting my opinion, but I ended up really enjoying it. I realized I could combine two things I really love: writing and discussing important issues,” Rodriguez said. Along with taking part in March for our Lives, Rodriguez has participated in several school walkouts as well as a meeting at Town Hall in Salem to discuss gun control. 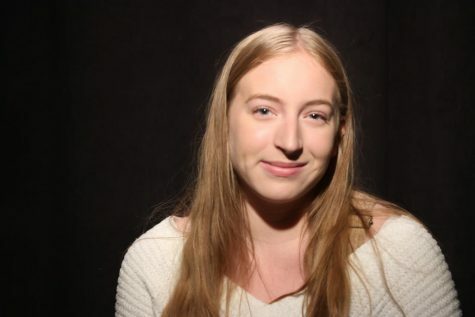 As an aspiring journalist, she’s not only excited about covering stories at West Linn High School, but also becoming a columnist on the teen page of the Clackamas Times. She’ll be writing monthly content and hopes to use this opportunity to connect with local teens. “Writing for the Clackamas Times will be a very new experience for me, but it’s exciting,” Rodriguez said. “I’m so lucky to start my exploration of journalism and I can’t wait to see where it takes me."